A group of Illinois-based human and social service agencies and companies filed a lawsuit against Gov. 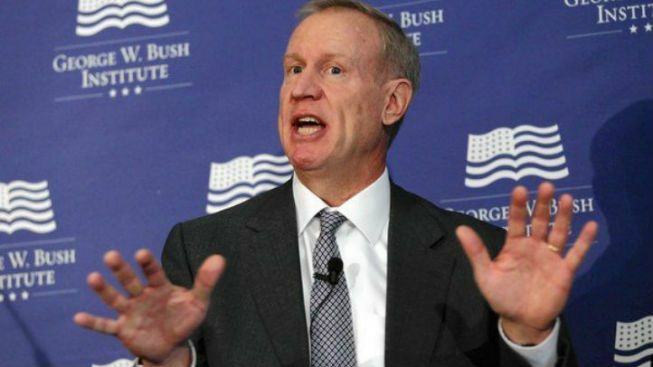 Bruce Rauner and members of his administration Wednesday seeking payment for over $100 million in work performed since the beginning of the state’s ongoing budget impasse. Illinois has been without a budget since July 2015. As a result, the state has failed to make payments on a large number of contracts, including those with human and social service providers. The coalition consists of 64 agencies and companies that provide services including housing for the homeless, healthcare, services for senior citizens and sexual abuse counseling. A release from the coalition cites “acute financial hardship” and claims staff and programs have been reduced and the viability of organizations is threatened. The suit notes that funds were appropriated to pay providers’ contracts, but Rauner vetoed the bills. “The state has been having its cake and eating it too. That is just not good business,” Durbin added. Rauner’s office responded to the suit, placing the onus on lawmakers in Springfield. “While we understand that frustration is driving many worthwhile organizations to seek solutions anywhere, including the courts, the only solution is for the General Assembly to pass a balanced reform oriented budget as soon as possible,” Rauner spokeswoman Catherine Kelly said in a statement.